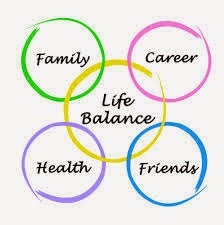 Work-Life Balance - What's That? And, Who Needs It Anyway? I don't know about you, but I always wonder about how successful women do it all - career, family life and staying true to themselves. I can barely make it out of bed most mornings, forget everything else. Can women, and most importantly, busy mamas like us, have it all? Join me over the next few weeks exploring the lives of busy mamas and sharing secrets about how to deal with stress, find balance, and stay healthy and true to yourself. 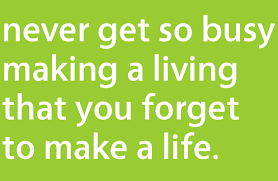 In an interview, when asked "What stresses you about your work-life balance and how do you manage it? ", Arlene Dickinson (Enrepreneur, CEO of Venture Capital, Founder of You Inc., and mother of four adult children, or a.k.a. Dragon's Den Lady) responded "I don't really believe in work-life balance." I thought, it is so refreshing to hear that from a successful woman who seems to have it all. I always wonder about those ridiculous work-life balance seminars at work during lunch time, trying to teach you how to manage your life better. But, isn't it ironic to have those seminars during your lunch time in the first place? Arlene also continues by saying "Balance is an indicator of being equal, and to me it's really about this personal feeling of satisfaction, fulfillment and happiness, no matter what drives that." I believe, that is exactly what we should strive for: a feeling of satisfaction. The fact that we can never find that feeling because we never seem to be satisfied with ourselves or our accomplishments is a whole other story! Honestly, I don't remember a time when I was fully satisfied with myself - ever! Isn't that crazy? I remember times when I was happy, content, but never fully satisfied. It is our human nature to always want more of everything, regardless of how much we have already, that's one challenge. 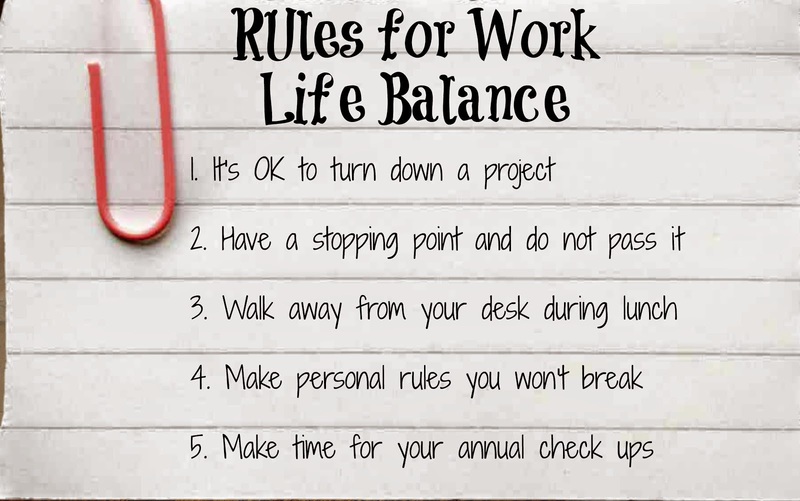 The other problem in the work-life balance equation is 'work':). Most of us have to work to pay the bills, and the majority of us don't do the work they love, so we try to compensate elsewhere, trying to find our 'balance'. I believe there is no such thing as work-life balance, and nobody needs it anyway. What we need are achievements and satisfaction - achieving what you want and enjoying it to the fullest. Enjoyment is a challenging concept as it has so many components to it: pride, satisfaction, security, love, celebration, fulfillment and well-being. Perhaps even more. Ideally, we'd like to achieve a feeling of satisfaction everyday in four different categories: career, family, friends, and self. But, realistically that is not possible. So, we need to focus on certain categories and enjoyments everyday instead. I'm not suggesting to forget family Tuesdays and Thursdays, but maybe have your spouse or relative look after the kids one evening while you go out to a dance class or gym, or whatever it is you like to do for yourself. What you need to realize is that with small kids, especially infants, you will have times during which you can only focus on family. I notice that in my life. For instance, currently, I'm still nursing a lot, but I try to enjoy these moments even if that means not having enough time to do many of the other things I'd like to do, such as spending more time with my older boys. Today, I was satisfied with myself for having taken the time to read a bedtime story to each of my sons, separately. Time spent with our kids is so special (although it may seem annoying at times) and soon it will disappear without any warning. So, what if your floors are not spotless every single day of the week, or the laundry is done 3 days later than usual? It's not that big of a deal, really! Believe me, I know how you feel. I'm a perfectionist myself. I always feel the need to vacuum everyday, wash the floors every other day, do laundry every day (several loads), clean up after the kids all the time, and the list goes on and on. Before my parents come over on the week-end, I make sure to vacuum (and sometimes wash the floors). My husband makes fun of me - "Why are you vacuuming? Are your parents coming over?" It's true of course that we need to vacuum downstairs everyday because of dog hair. But my husband is completely right (don't tell him I said so though:). I rather make sure everything is spotless before my parents come over than hear them point out how messy our house is and how there is dog hair everywhere. But that is what I choose to do. By the way, in the summer, my husband mows the lawn before my dad comes over, otherwise he won't hear the end of that:). Don't laugh! I bet you do the same thing before your in-laws come over:)! The bottom line is: know your priorities and pencil them in for an appropriate day. And, remember to focus on the important things, one day at a time. Avoid the “as soon as” trap. “As soon as I get caught up on this project, I’ll spend more time with you, honey,” you might say. “As soon as I get the promotion, we’ll have more money and be able to enjoy life better.” That’s dangerous, because life can – and will likely – pass you by. It’s better to achieve and enjoy every day. 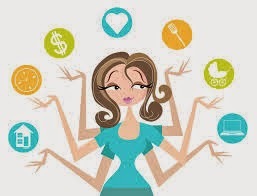 Stay tuned for secrets and suggestions on managing a busy mama life! Love this story! Can't wait for all the tips! !